BCH Digital, an established provider of IVR-based call management services, is using New Net Technologies' (NNT) Change Tracker Enterprise solution to ensure the compliance of its telephone card payment service with the stringent Level 1 Payment Card Industry Data Security Standard (PCI-DSS). Part of an elite group of Level 1 PCI-DSS approved service providers in the UK, BCH Digital offers telecommunications services to clients ranging from small start-up companies to large blue chip organizations; one of these being its PayTel hosted telephone card payment service through which it enables clients to securely process card payments. The stringency of the Level 1 PCI-DSS compliance is such that BCH Digital is independently audited annually against the most recent regulations, currently standing at around two thousand individual requirements; and must also pass external quarterly network scans. The security of the PayTel service is, therefore, a key focus for both BCH Digital and its clients. Chris Johnson, Technical Manager, BCH Digital explains, "Part of the PCI compliance mandate requires organizations to ensure various file tracking and monitoring systems are in place. We were faced with a formidable obstacle in finding tracking software that could help us with our PCI compliance as well as being easy to use and full-featured and could be readily integrated into our systems. Ultimately, we trialed several pieces of software and came down in favor of NNT"
"The differences between the alternative software we tried and NNT was extremely clear to see; NNT was very responsive from the outset and committed to everything we needed to go live with the solution immediately. Four years later, I'm pleased to say our relationship with NNT is as strong today as it was when we first started using their service. Their support is first class and they've always had a fast response time to any of our queries. In fact on one occasion during an audit, an assessor raised an issue so we decided to email NNT whilst the assessor was still with us. He was blown away that that within five minutes we had someone on the phone and everything had been resolved." NNT makes PCI DSS compliance simple; combining device hardening, event log management, change and configuration management and file integrity monitoring into one, easy-to-use solution. Its Change Tracker™ system auditing and change detection solution provides fast and efficient auditing of all devices via hardening templates for all security and governance policies. Mark Kedgley, CTO, New Net Technologies, adds, "As a company, we are delighted that Change Tracker™ has given BCH Digital the confidence to deliver its telecoms software which has allowed them to grow as a business. Our security solutions allow businesses of all sizes and complexity to reduce their risk profile, and establish and maintain a hardened IT infrastructure in a simple and cost-effective manner." Chris Johnson concludes, "Looking into the future, with NNT's solution we are sure that we will continue to pass PCI-DSS audits and continue to remain compliant. 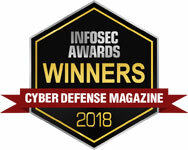 NNT is providing us with a high-class service and solution that is not only enabling us to deliver a business-critical level of security, but it is a key component of our – and our clients' – ongoing business growth."